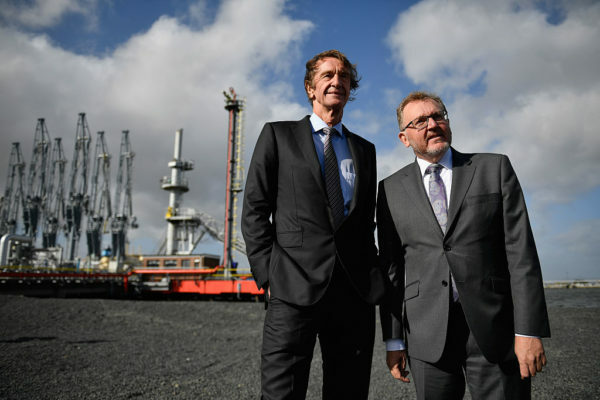 INEOS, the petrochemicals giant owned by the UK’s richest man Sir Jim Ratcliffe, has said it could close its Middlesbrough manufacturing plant unless it is allowed to “defer compliance” with EU rules designed to prevent air and water pollution, according to documents obtained by Unearthed. An analysis of data from the Environment Agency (EA) also reveals the plant clocked up 176 permit violations between 2014 and 2017, 90 of which related to air and water emissions. An EA spokesperson said: “air emissions are well over legal limits and this poses a risk to the environment”. The threat to close the site – made in a letter to business secretary Greg Clark in October last year – comes as the UK prepares to leave the EU, removing the power of EU institutions to enforce environmental standards. In the letter INEOS director Tom Crotty said the firm “cannot justify” the investment required to comply with EU air and water pollution rules due to come into force in the coming years. The Seal Sands plant on Teesside directly employs 350 people, but more than 2000 jobs in the area are dependent on the facility, Crotty claimed in the letter. INEOS is the largest privately-owned company in the UK and the largest petrochemical firm in the EU. Mary Creagh, Labour MP and head of the environmental audit committee, told Unearthed: “It is disappointing to see a multinational business that made over £2bn in profit last year asking the UK Government to help them dodge European waste and water standards. INEOS this week bought the sponsorship rights to Team Sky, the UK’s top cycling team. Ratcliffe, who backed Brexit and is trying to frack for shale gas in the north of England, has come under fire for moving to tax-haven Monaco last year. His firm has a long history of opposing EU taxes and environmental rules. After backing Brexit to avoid “expensive EU bureaucracy” the firm went on to lobby to be exempt from a levy designed to support clean energy. It has rejected the advice of UK security services to pay for measures to protect its refinery in Scotland from a potential terrorist attack. Earlier this year Ratcliffe attacked the EU for it’s “green taxes” and the UK for its rules on fracking. “We now face a crisis,” Crotty wrote in the letter dated to the 10th of October last year, obtained by Unearthed via freedom of information. Christian Schaible, policy analyst at Brussels-based environmental organisation EEB, told Unearthed: “This letter is shocking because it’s effectively holding hundreds of jobs hostage in an attempt to get around air and water rules designed to protect public health and the natural environment. INEOS has already secured derogations to air pollution limits at its Grangemouth site in the UK. “Compared to other countries it is worrying to note that UK permit writers are much more generous in avoiding implementation of EU pollution prevention standards or would just do what is absolutely required to prevent pollution,” added Schaible. The letter is just the latest attempt by INEOS to strongarm the government into a sweetheart deal, following last year’s threat to build a plant in Belgium instead of the UK if it didn’t receive generous financial terms. It ended up announcing it would build the facility in Hull. The Middlesbrough plant was host to more than 80% of the company’s 216 environmental permit violations from 2014-17, according to an Unearthed analysis of Environment Agency data. Half of those (90) relate to air and water pollution. “The frustrating thing about all of this is that the environmental impact of our current operation is actually very low,” Crotty wrote. “We have worked closely with the EA over the past 10 years to improve the environmental performance at the site. Since its acquisition of Seal Sands facility INEOS has invested over £100m improving the efficiency of plant, processes and infrastructure. Further investment is needed. “We have always been and remain within emission levels agreed for the site with the EA. If not, we would not be operating. The EA have agreed that it is acceptable for us to continue to operate because the environmental impact of the current operation is very low. “To put this into context the highest measured level of NOx at the site is nearly 90% lower than the background level in Middlesbrough. And for SO2, the site level is nearly 70% lower. “However, the operating level agreed with the EA are not considered in the reporting and emissions are still counted as permit violations. A spokesperson for the Department of Business, Energy and Industrial Strategy said: “The Government is strongly committed to supporting our chemicals industry, and to ensuring strong environmental protections are in place.